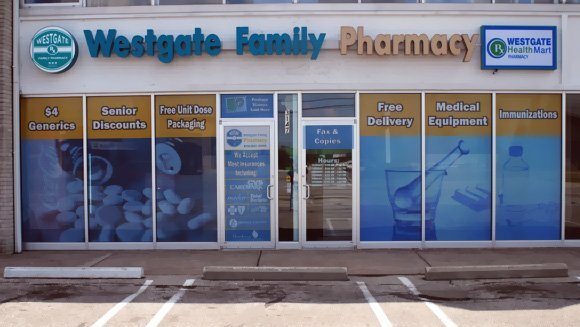 Westgate Family Pharmacy is an independently family owned pharmacy that is dedicated to serving the community, and offer the best service we can to guarantee our customers satisfaction. We accept most major insurance plans including, Ohio Medicaid, Paramount Health Advantage, TriCare, CVS Caremark, Buckeye. Express Scripts, Aetna, Blue Cross – Blue Shield, Medco, and many others. © 2019 Westgate Family Pharmacy – Toledo, Ohio. All rights reserved. Website Design by Toledo Computer Repair.